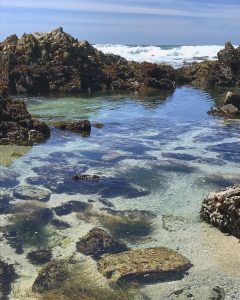 If you have been whale watching in Monterey Bay, diving off the Channel Islands, surfing north of San Francisco, or tide pooling in northern Washington, chances are, you’ve been to a West Coast national marine sanctuary. National marine sanctuaries are marine protected areas that have iconic natural and cultural marine resources. The network, managed by the National Oceanic and Atmospheric Administration (NOAA), includes 600,000 square miles of marine and Great Lake waters. Of the 13 national marine sanctuaries, I have personally developed a strong connection to the Monterey Bay National Marine Sanctuary. 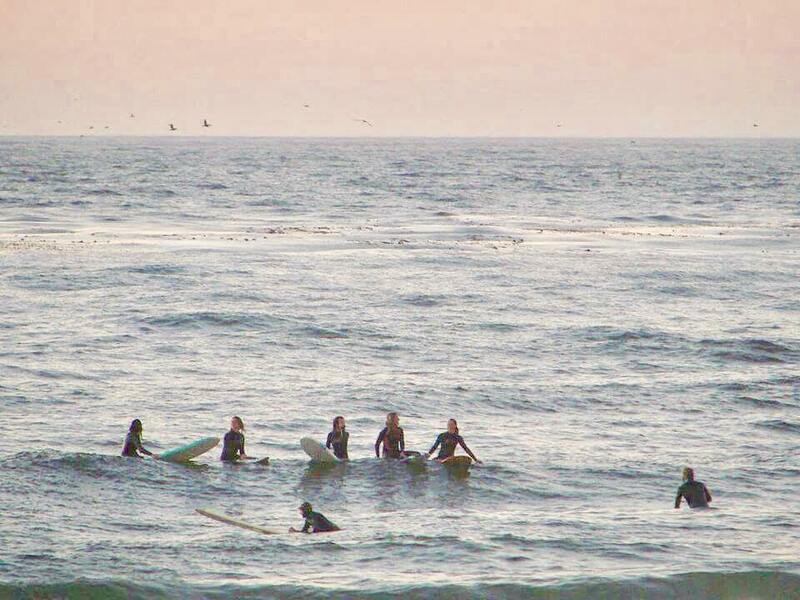 My memories of having a humpback whale surface five feet from my kayak in Big Sur, surfing under the setting sun, and free diving in kelp forests are just a few examples of how I got hooked on the place. While difficult to put into words, the sanctuary has become a place I identify with, as well as a place I turn to for inspiration, relaxation, and creativity. Earlier this year, while reflecting on my own connection to the Monterey Bay National Marine Sanctuary, I couldn’t help but wonder how other people connect to and value special marine areas. Further, what components or memories could lead someone to have feelings associated with such a place? 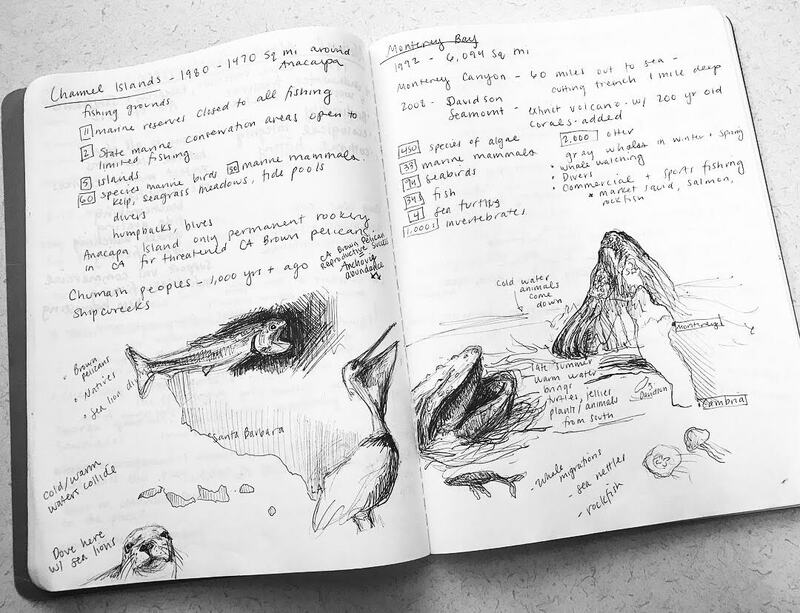 Fast forwarding to June, my internship is helping me begin to answer these questions regarding “sense of place,” in terms of national marine sanctuaries. To explore the concepts, I am traveling to the five national marine sanctuaries off the West Coast of the United States. Four of the sites are in California — Monterey Bay National Marine Sanctuary, Cordell Bank National Marine Sanctuary, Greater Farallones National Marine Sanctuary, and Channel Islands National Marine Sanctuary — and the Olympic Coast National Marine Sanctuary is in Washington State. At each site I am meeting with visitors, sanctuary staff, researchers, industry representatives, and Natives Peoples to better understand how they connect to, depend on, and identify with the sanctuary. Researchers have explored sense of place in regard to natural places, and organizations, such as the Ocean Health Index have started exploring the concept (considering iconic species and protected area factors). My project, however, has a creative process included to maximize interpretations of the research results. After having the conversations at each site, I will create a painting that visualizes some of the components of each marine sanctuary that people or groups have expressed as having value. For example, the painting for the Olympic Coast could reflect the Native Peoples connection to the place, and, who knows, maybe I’ll learn that tourists are overwhelmingly intrigued by the stark orange-beaked Tufted Puffins. As the inspiration for my project, it seems fitting that I am starting my research at the Monterey Bay National Marine Sanctuary. I attended a meeting on the scientific research h appening in the sanctuary on May 13, and my upcoming agenda includes meeting with sanctuary staff, speaking with visitors of the Exploration Center in Santa Cruz for World Oceans Day, and attending the Monterey Bay Sanctuary Advisory Council Meeting. Although I already know how I connect to the sanctuary, I look forward to hearing the personal stories of stakeholders, from a squid fishermen to a person visiting the sanctuary for the first time. Next up: I’ll be setting sail for the two sanctuaries near San Francisco — Greater Farallones National Marine Sanctuary and Cordell Bank National Marine Sanctuary. 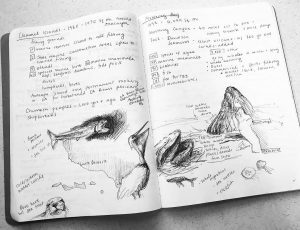 You can follow my journey this summer on Instagram at Seaing_Sanctuaries — photos and drawings of the sanctuaries will be included. This entry was posted in 2018, Andrea Fisher and tagged Art, CBE, Marine, Ocean, Read more. Bookmark the permalink.